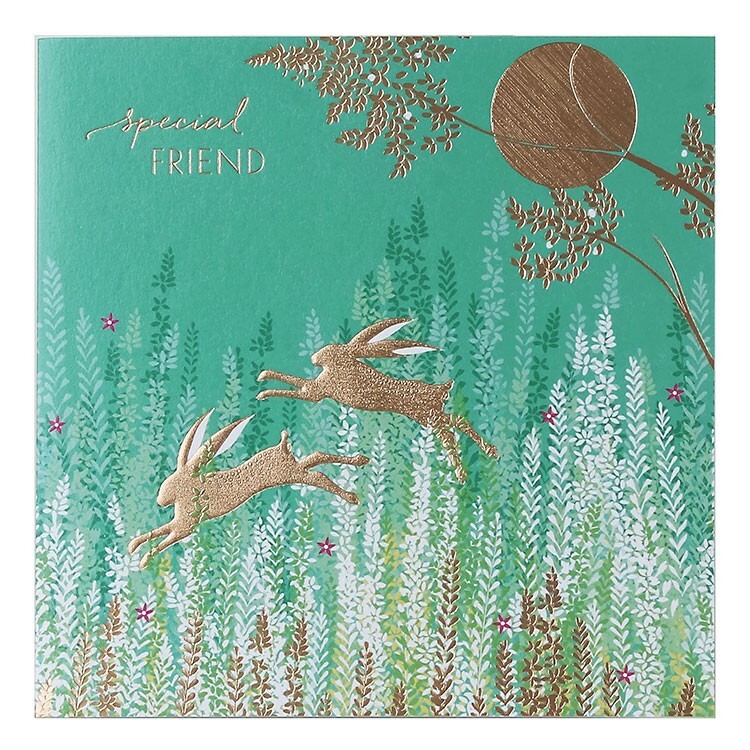 Leaping Rabbits Special Friend Card from Sara Miller London. 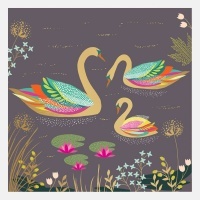 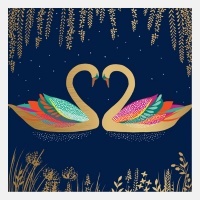 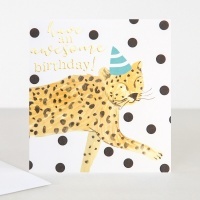 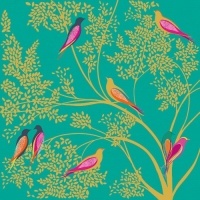 This stunning card is beautifully finished with textured gold foil and embossed detail. 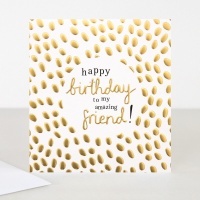 The card is blank inside for your own message. 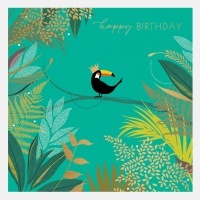 Use for a birthday or just to let someone know they are special.